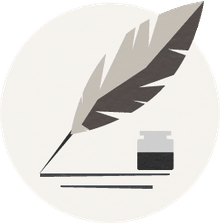 Sue Grafton was one of those writers who dedicated her life to a single character and a single fictional universe, and one of those writers who was so successful for so long she became part of the cultural wallpaper, in a sense. Writers like Grafton reach a point where they are so famous and their books so widely read we stop remarking on them—even their biggest fans just sort of take them for granted. Grafton’s bestselling Kinsey Millhone series suffered from that sort of publicity-blindness. It wasn’t an instant success for Grafton; while the early books sold well enough to garner more contracts, the series didn’t really become a juggernaut until the seventh book, G is for Gumshoe in 1990. After that, Grafton released a new novel in the series every year or two up until her death in 2017—sadly, leaving the final Millhone book, tentatively titled Z is for Zero, unwritten. In-between, Kinsey Millhone was one of the most popular fictional characters of all time, a down-to-earth, eccentric woman in her 30s who survives a traumatic event in her childhood (being trapped in a wrecked car with her dead parents for hours), is a bit of a delinquent as a teenager, spends a brief period of time as a police officer before becoming a private investigator. Millhone isn’t very concerned with money and lives a simple, cheap life while getting involved in a string of fantastic mysteries. One reason people loved Kinsey is Grafton’s unusual decision to manage the passage of time in her novels very precisely; in A is for Alibi she is 32 years old in 1982, and Grafton nudged her forward in time along a precise schedule that would have seen her turn 40 in the 26th and presumably final book, if it had ever been completed. Millhone’s aging and time’s passage kept the universe fresh and realistic—if controlled—which made her relatable to readers who were aging right along with her. In the end, as with any series, not every Millhone book is equal. While Grafton never wrote a truly bad novel, some of the Millhone books are better than others. While it’s probably advisable to read them in order (while the series doesn’t depend on a deep knowledge of previous books to enjoy each one, as they’re fairly standalone, there’s a definite benefit to observing Millhone as she evolves through the years) starting with A is for Alibi, here’s an objective ranking of the Alphabet Series from least-great to most-great. P is for Peril by Sue Grafton. Grafton buries the sly humor and forefronts an attempt at a classic noir tone in this one, in which Millhone struggles to find new affordable office space while investigating the disappearance and possible murder of a doctor. It takes a long time for this one to coalesce, although Grafton does achieve a bleak and very cool atmosphere that is indeed evocative of the old-school thrillers. C is for Corpse by Sue Grafton. Grafton’s third entry stumbles a bit with a fairly predictable plot that gets the balance between main mystery and side mystery all wrong. Kinsey befriends and is hired by a guy at her gym who thinks his recent car accident—which left his memory impaired—was an attempt on his life. A few days later he’s dead, and Kinsey is as elbow-deep into his life as you might expect. Meanwhile, her side adventure with her landlord is given way too much attention. W is for Wasted by Sue Grafton. With a fairly slight story involving a homeless man found dead with a slip of paper with Kinsey’s name on it, this later entry in the series is padded out with some overlong ruminations from Kinsey about a variety of subjects. The whole story feels a bit undercooked, though it firms up a bit towards an ending that rescues the book from being an actual failure. F is for Fugitive by Sue Grafton. This one’s a bit dark and dour, standing out a bit from the rest as a result. However, the deeper look into Millhone’s past as she investigates a 17 year-old murder and tries to prove the man convicted of it innocent while living with his fractured, unhappy family at their motel expands the character nicely. If you come to this one looking for Millhone’s usually acerbic bon mots, you’ll find darker stuff, though. G is for Gumshoe by Sue Grafton. Kinsey finds herself turning 33 while being hunted by goons hired by a crime boss, so she hires a bodyguard that turns out to be more than she bargained for. While the signature humor is great and the references to classic literature make for nice Easter Eggs, this is an example of what we sometimes call the Idiot Plot, a story that only moves from one point to another due to the stupid decisions of ostensibly intelligent characters. A is for Alibi by Sue Grafton. The first book in the series suffers from a plot filled with some serious holes that Grafton papers over, but is redeemed simply by the introduction of Kinsey Millhone, who is a terrific character, well-drawn and charming to hang out with. And if it’s not entirely earned, the late-story twist does surprise, which combined with the charisma of Millhone is enough to warrant moving onto other titles in the series. I is for Innocent by Sue Grafton. In this solid, if unspectacular, story Millhone takes over the investigation into a man acquitted of his wife’s murder now being sued by her ex-husband for the fortune he inherited. This one suffers mainly because Millhone isn’t quite herself. Grafton seemed to lose track of who her character was, making this a book that Millhone fans read more or less out of duty. Still, the plot is surprisingly twisted, and the danger feels real. L is for Lawless by Sue Grafton. Searching for answers regarding a recently-deceased army vet the army has no record of, Kinsey follows a trail of clues that take her on a sudden journey away from home with just the clothes on her back. The story moves well and the mystery is engrossing, but Grafton packed a few too many twists and turns into this one, making the story a little bit too complex. Q is for Quarry by Sue Grafton. Kinsey helps a pair of retired cops solve an old cold case that haunts them, but a slow first act and far too much attention paid to Kinsey’s family woes make this one crawl for a long time. Grafton finds her rhythm and saves the story from failure through an effective resolution and a very strong and entertaining cast of supporting characters, but getting there requires a bit of faith. E is for Evidence by Sue Grafton. The fifth entry in Grafton’s bestselling series has great character work, and spending time with Kinsey as she struggles with depression over the holidays, hauntings from her past, and a concerted effort to frame her for bribery is enjoyable as ever. The actual mystery here is weak, though, so while you enjoy the journey, the destination leaves you a bit disappointed. T is for Trespass by Sue Grafton. On the one hand, this story of Kinsey matching wits with a neighbor’s elder care home aid who seems to be shady and possibly dangerous is a crackling battle of wits. On the other, it’s hindered by Grafton's decision to let the reader know from the get-go that Kinsey’s suspicions are well-founded, and a hurriedly violent resolution. U is for Undertow by Sue Grafton. A great premise has Kinsey trying to figure out if a man’s recovered memory that might be the key clue to a decades-old crime—or the imagination of an unreliable weirdo. That absorbing mystery is undercut a bit by a host of other points-of-view and a desultory subplot involving Kinsey’s extended family, but in the end this is solid entry. V is for Vengeance by Sue Grafton. A perfectly serviceable story sees Kinsey suffering guilt when a woman she helped get arrested apparently commits suicide. Hired by the woman’s disbelieving boyfriend, however, she soon discovers the woman was involved in a host of shady dealings. Everything clicks along in this one, but nothing really jumps out, putting it squarely in the middle of the pack. R is for Ricochet by Sue Grafton. This decidedly middle-of-the-road entry has Kinsey escorting a wealthy parolee home, trying to keep her out of trouble. The man who got her into trouble in the first place is a first-rate cad, and the story picks up considerably when this is made clear and Kinsey teams up with her charge to seek revenge, but even that delightful bolt of energy isn’t quite enough to elevate this book into the top tier. Y is for Yesterday by Sue Grafton. Making Grafton’s passing doubly sad is that her last two books in the Millhone series were some of her better efforts. This one tells an absorbing story involving a cheating scandal at a school, a school shooting, blackmail, and a continuing thread involving a serial killer with a grudge against Kinsey. What might have been too many moving parts comes together nicely, making this one just shy of the Top Ten. Grafton often had her greatest successes when she played around with her formula; in this one, Grafton’s alternating flashbacks build tension nicely as Kinsey investigates a cold case wherein a scandalous woman disappeared more than a decade before. Every new detail about the missing woman adds a new suspect or a new twist until the story fairly vibrates with suspense. It gets dropped down a few slots for a rushed ending that doesn’t quite live up to the rest. K is for Killer by Sue Grafton. One of the darker and more sober Millhone stories also turns out to be one of the best. Kinsey investigates the death of a young woman whose body lay undiscovered for so long there’s no way of telling how she died. Kinsey soon suspects foul play as she discovers the woman was a discrete and successful prostitute. As Kinsey suffers from lack of sleep she finds she can’t always trust herself—and that slight twist jazzes the story into high gear as the suspects pile up. D is for Deadbeat by Sue Grafton. This fast-paced and high-energy story kicks off with Millhone being given $25,000 in stolen drug money by boozy loser who wants it given to the only survivor of a car accident he caused. When the drunk turns up dead, Millhone resolves to follow through with his wishes—but suddenly a cast of characters turns up to stop her and claim the money, including ex-wives, a daughter, and the aforementioned drug dealers. This one would be perfect if not for a few lapses in logic—but none are big enough to do much harm, really. N is for Noose by Sue Grafton. Kinsey is hired by a police detective’s widow to pick up the case he’d been obsessed with, but she quickly finds the entire town is united against the idea, believing the widow to be a troublemaker. Just as Kinsey is starting to agree, she’s assaulted—and nothing convinces a private investigator that something’s going on like a good beating. Sporting some great supporting characters, this maze-like mystery is supported by one of Kinsey’s most entertaining inner monologues. H is for Homicide by Sue Grafton. Kinsey goes undercover and finds herself helping to set up insurance scams as she pursues the identity of a murderer. Multiple identities, con artistry, and a Kinsey having a mild existential crisis after watching a lover walk away all adds up to a complex story populated by smart, entertainingly offbeat supporting characters that walk the line between quirky and unbelievable with an expert’s touch. O is for Outlaw by Sue Grafton. This is one of the better entries in the series for a simple reason: The object of Kinsey’s investigations is herself. After coming across a piece of evidence that disproves one of the main reasons Kinsey left her first husband, she dives into her own past in an effort to understand what other mistakes she might have made. Seeing the character we love confront her imperfect past self is fascinating, and makes for a surprisingly solid mystery. J is for Judgment by Sue Grafton. A sketchy banker is finally declared dead five years after his apparent suicide in the wake of the collapse of his financial empire, and his widow is paid out the cool half-million from the insurance. When the banker is spotted living a new life in Mexico, Kinsey is dispatched to dig into the mess, and finds herself in the midst of one of her most entertaining adventures. Lacking a love interest or her family, the focus is squarely on the plot and Kinsey’s Voice, making this a gem. Grafton’s final book was also one of her strongest, telling dual narratives in which Kinsey searches for a bank robber recently released from jail who her client believes is her long-lost son, and helps her widowed friend organize her late husband’s private investigation files. Both projects lead Kinsey into danger, especially from a frightening man who might be a serial murderer—and who now has Kinsey in his sights. Everything we love about Millhone is on display here, and reading it will just make you wish Grafton had been given the time to tackle Z. B is for Burglar by Sue Grafton. Combining high tension and real stakes with Millhone’s trademark snark, this one is near-perfect. Kinsey is hired to search for a missing sister, traveling to Florida to check out her part-time home only to find it occupied by a man claiming to be a tenant. As the clues pile up, Kinsey finds herself going face-to-face with the killer in a confrontation that might leave her dead. Surprising, fast-paced, and smart, it’s almost the best one Grafton ever wrote. M is for Malice by Sue Grafton. A wealthy man dies, and a will that cut his druggie son out of the inheritance is missing, so Kinsey is hired to see if she can locate the prodigal son before his three ruthless siblings inherit everything. When Kinsey finds him, he seems to be a reformed and healed man, sober and well-meaning. But nothing is what it seems in this one, the best pure mystery that Grafton ever crafted. There’s a lot going in this one, and Grafton expertly balances humor, character development, and clues to offer up a book that transcends the genre and series and becomes, by the end, simply an excellent book, telling an excellent story. 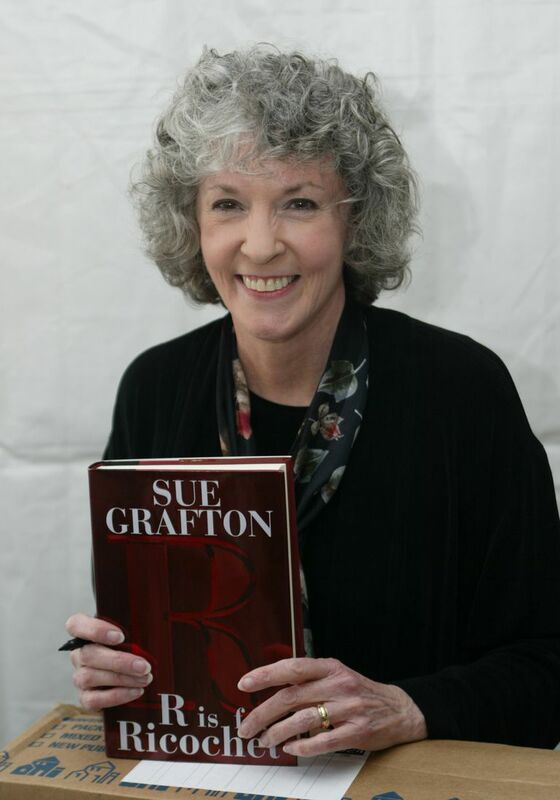 Sue Grafton had an outsize influence on the literary world. Although she often flew under the radar, she was a master of her craft and left behind twenty-five novels and several shorter works that will continue to delight and entertain for years to come. More importantly, she created one of the all-time classic characters in Kinsey Millhone. Millhone will never turn 40, but we can at least return to her version of the 1980s as often as we like.